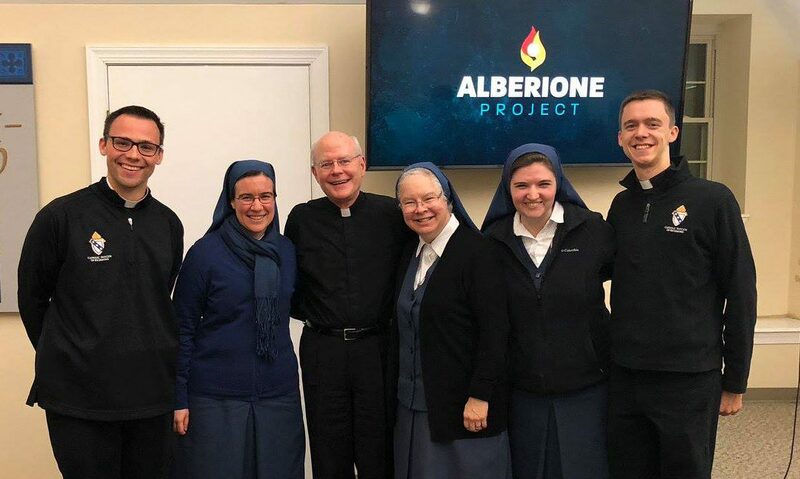 A unique media formation initiative has been underway at TC: The Alberione Project. 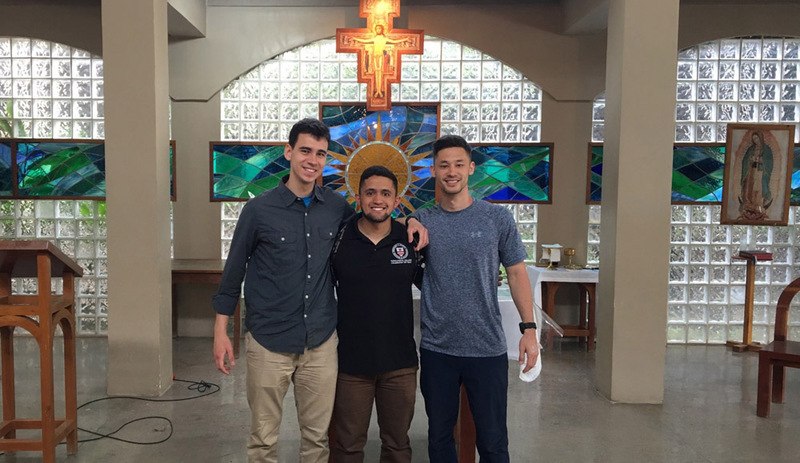 Supported by faculty and fueled by seminarians inspired by Bishop Robert Barron, papal documents, and the holy example of Blessed James Alberione, their work will inform seminarians around the country for years to come. 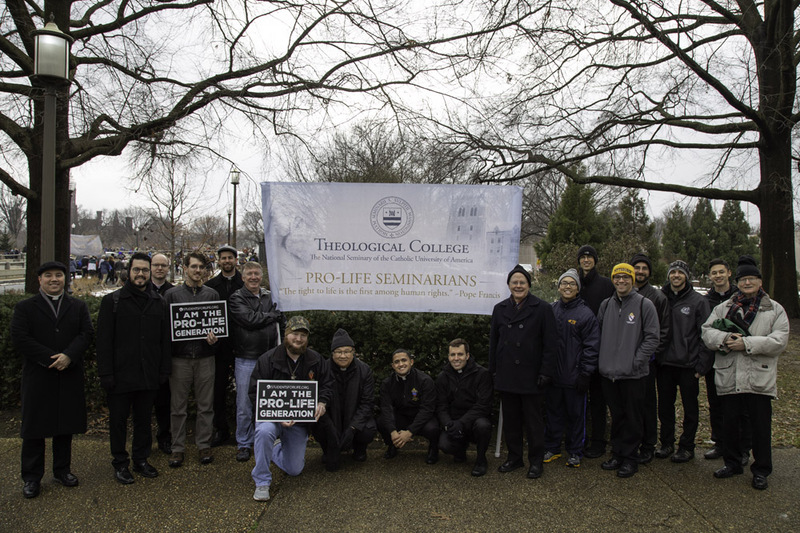 On January 18, TC seminarians and their 95 overnight guests joined over 500,000 supporters of the 46th annual March for Life in the United States capital. On December 7, 2018, the end of Fall semester was celebrated by the entire TC community, including family and friends of the staff, looking forward to another fruitful semester ahead. 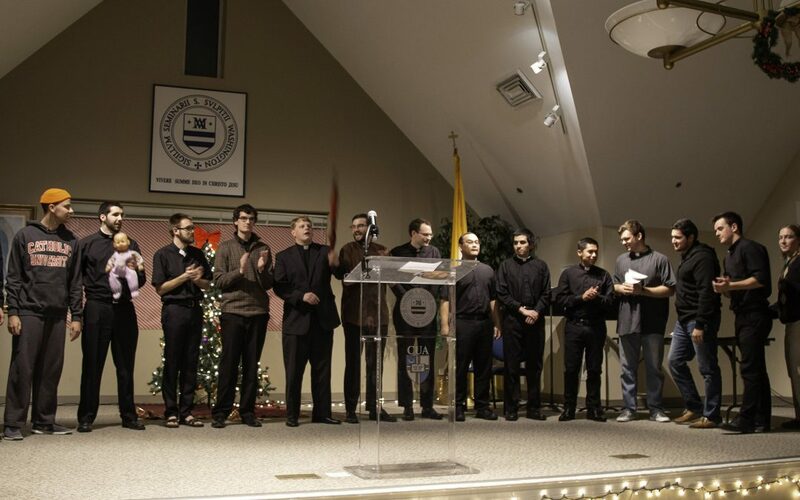 The Mass, holiday fare, and hilarious skits offered a much-needed respite for all. 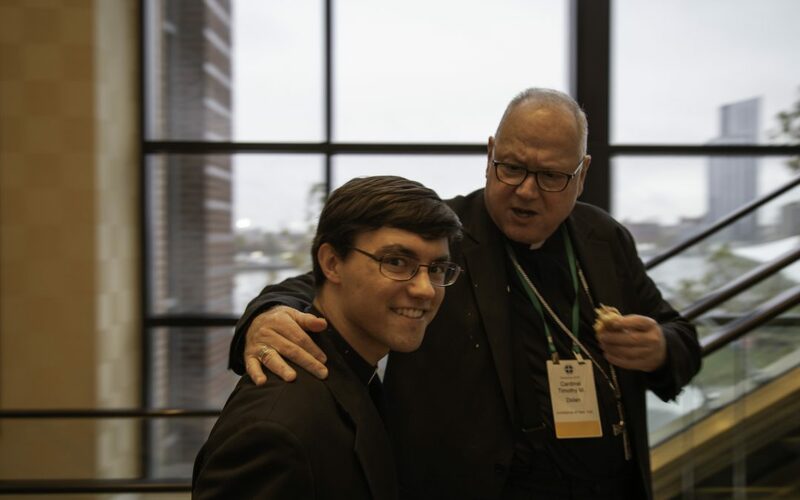 This year’s annual Bishops Breakfast at the Marriott Waterfront Hotel in Baltimore during the General Assembly of the U.S. Conference of Catholic Bishops took place on November 13, with a “full house” attendance. 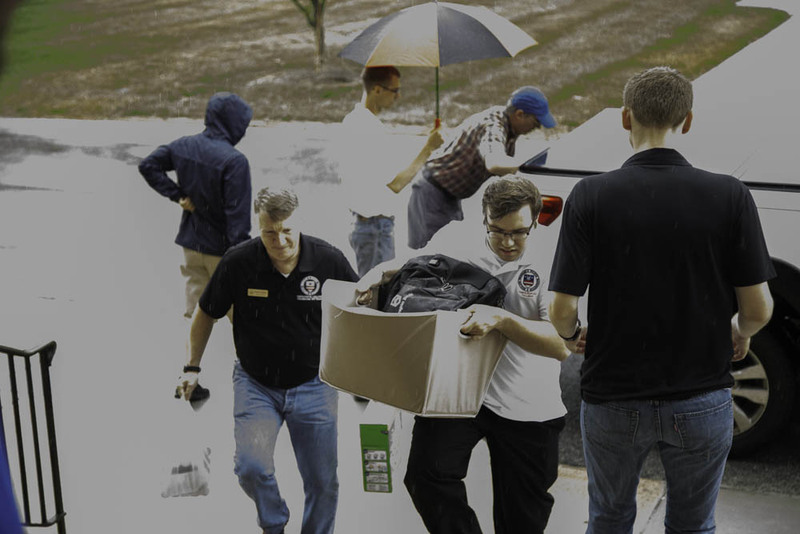 As it enters a second century in service of the American Church, Theological College has launched a campaign for the Rev. 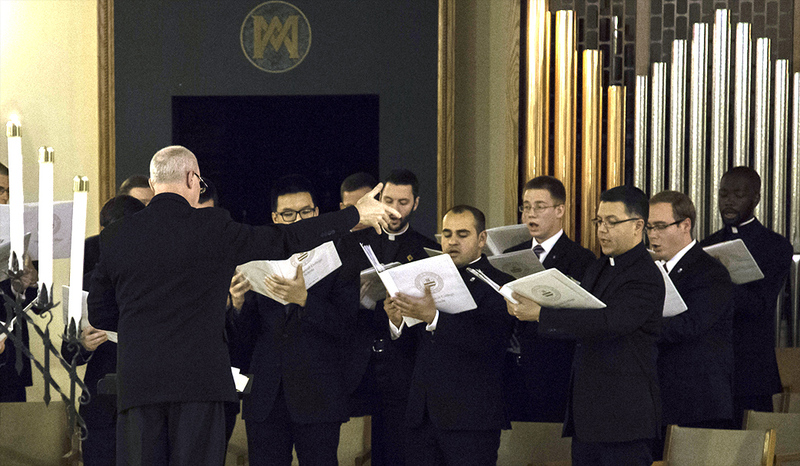 John C. Selner, P.S.S., Endowed Chair for Music and Liturgy, which will ensure the continuation of the highest quality of liturgical music and worship for generations of seminarians to come. Bishop Knestout of the Diocese of Richmond received six Theological College theologians as candidates for Holy Orders on October 10th. 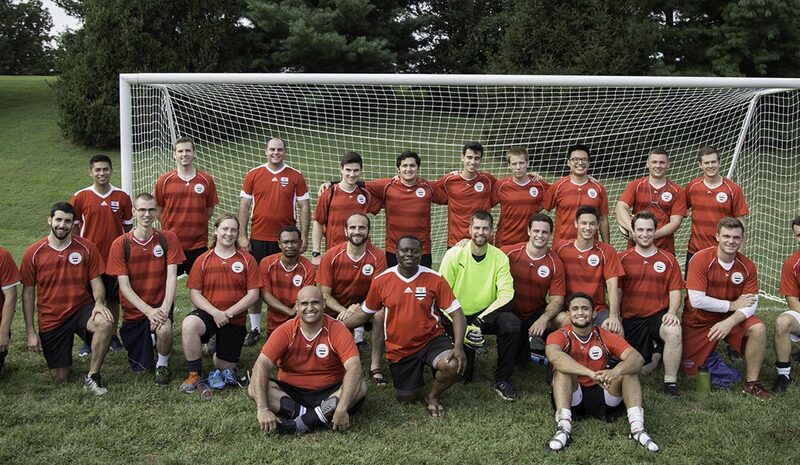 Vianney Cup 2018 was once again a lively and dramatic annual sporting event between four mid-Atlantic seminaries in September, this year hosted by Theological College. 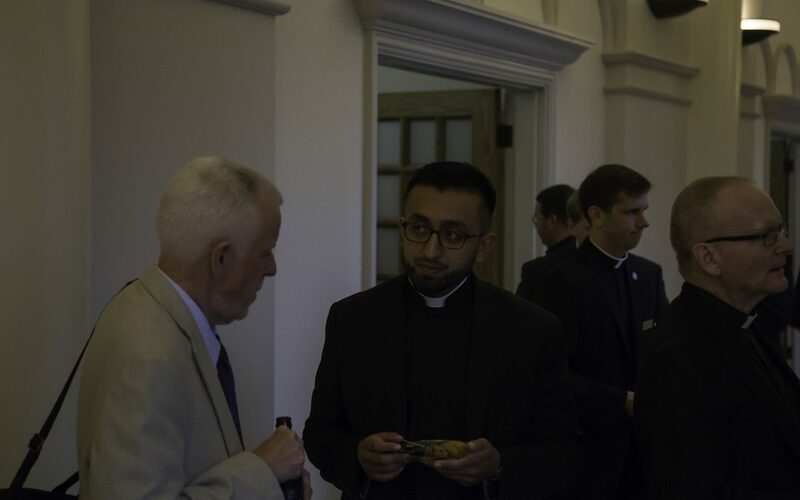 On Wednesday, September 11, almost 30 faculty members from Catholic University joined the TC community to meet and greet and catch up with TC faculty and seminarians at the outset of the academic year. 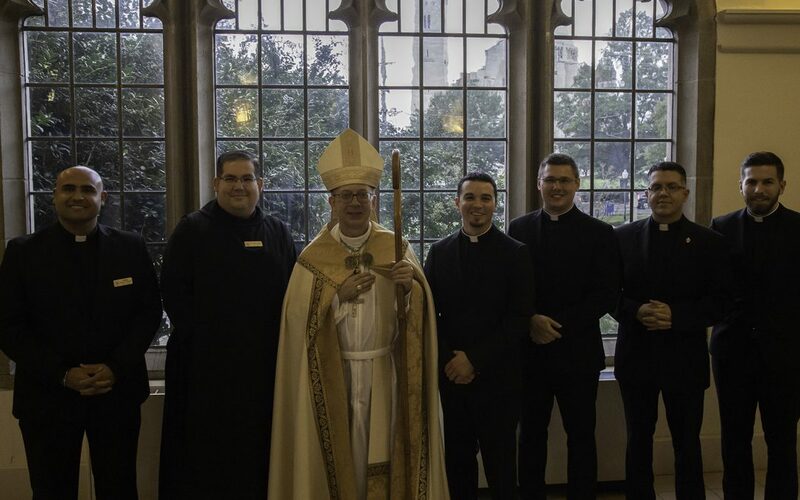 On Tuesday, August 21st, 20 new seminarians from 12 different dioceses were welcomed to Theological College by the Orientation Team and faculty and staff.